Protect your computers, tablets and smartphones from viruses, identity theft and other online threats. We're sorry but Trend Micro currently have no active vouchers, deals, sales, promotions or offers in Vouchr. 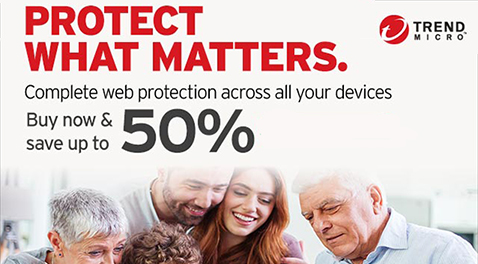 Trend Micro have published promotions in the past. To ensure that you do not miss out on future offers from Trend Micro we recommend that you "Follow this brand".